This showstopping diamond ring, as part of the Vera Wang Love Collection, is beautifully created from 18ct white gold, composing a classic yet unique intricate ring. 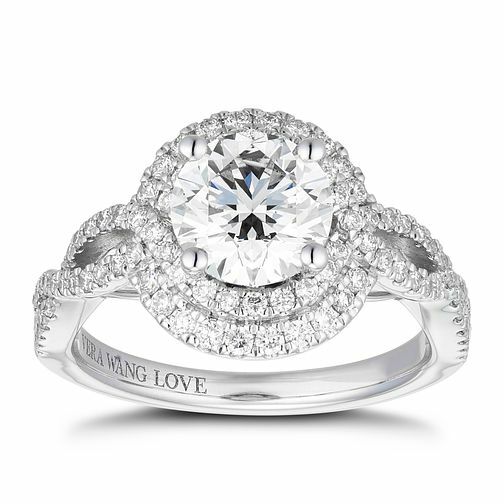 A round cut diamond is complimented with a double halo, set to shimmer from every angle. A chic cross-over shoulder with cut-out center completes this timeless ring.